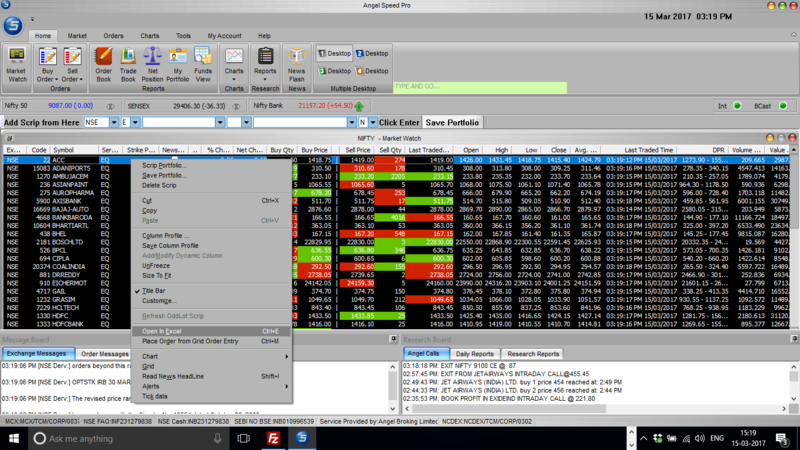 Nowadays all major stock brokers are providing facility to connect their trading terminal to microsoft excel. This is because you can create robust trading systems on excel writing your own formulas. So if you can get live data free of cost in microsoft excel your job becomes easier. 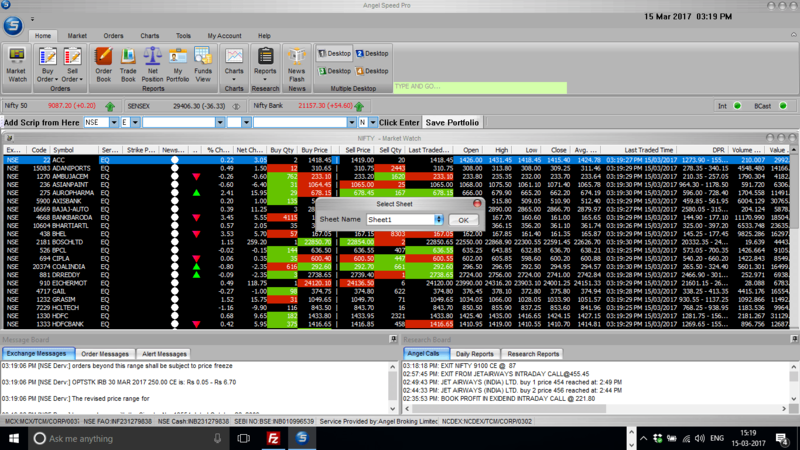 I have already written How To Create Intraday Trading Excel Sheet From Sharekhan TradeTiger? and How To Connect Zerodha Pi To Excel To Build An Excel Trading System?. Now I will show you how to connect Angel Speed Pro To Microsoft Excel. First run Angel Speed Pro and login to it. Then open your market watch. I recommend you to open market watch containing all Nifty 50 stocks. You will see live data flowing into the market watch and scrips are blinking. Next right click on the market watch and click Open In Excel (Ctrl+E). This will open the excel sheet named Arbitrade.xls. You can see live data is flowing into the excel. 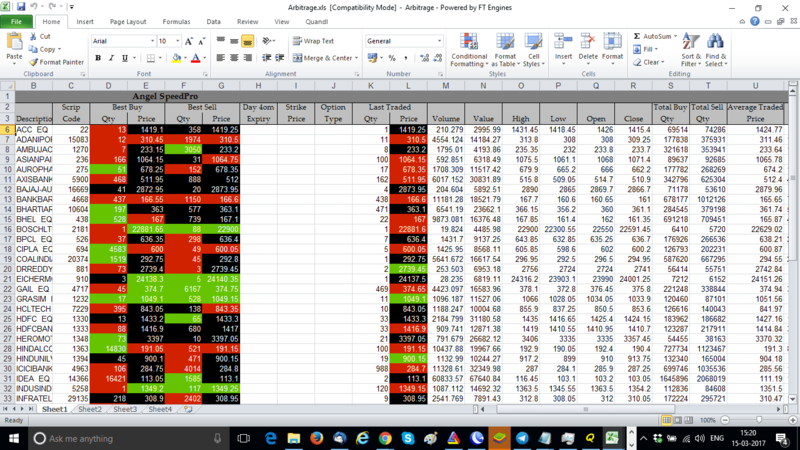 Once again you can create your trading system on this excel. To have some idea on a simple trading system you can see my post Open High Low Same Trading Strategy For Indian Stock Market. If you do not know how to create a trading system on Microsoft Excel you can see my post How To Connect Zerodha Pi To Excel To Build An Excel Trading System? The video above demonstrates importing live data from Angel Speed Pro to microsoft excel. Lastly a bit out of topic still one thing to mention that as Angel Speed Pro is a Java Based platform, charts and other features are still not so advanced. I recommend to switch to Zerodha Pi instead. To open a trading account in Zerodha CLICK HERE.